Looking for an alternative to metal braces? ClearCorrect is the clear and simple choice with NO wires, NO brackets, and with The Tooth Booth’s Cerec Omnicam digital scanning technology, NO IMPRESSIONS. Our digital impressions don’t just mean no messy, yucky impressions (read no gagging), but also means better fitting, more accurate trays for quicker treatment and better treatment outcomes. Just clear, convenient comfort and with *treatment starting at just $2,000—every reason to smile. 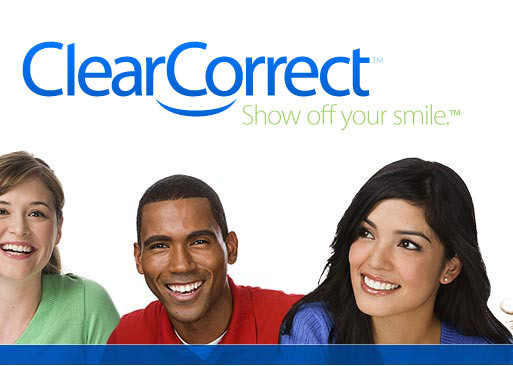 With ClearCorrect, Dr. Hughes can straighten your teeth using a series of clear, custom, removable aligners. Each aligner moves your teeth just a little bit at a time until you eventually get straight teeth. ClearCorrect is one of the clearest aligner systems available. You’ll wear your aligners all the time, except while eating and drinking or during daily tooth care, such as brushing and flossing. Your ClearCorrect aligners will be so clear they’ll barely be noticeable, so they won’t have an impact on your day to day life. Aligner by aligner, you’ll be able to see the difference as your teeth slowly adjust and align to your target smile. You’ll visit Dr. Hughes periodically to check on your progress and get new phases of aligners, until you eventually have the straight smile you’ve always wanted. Treatment ranges from $2,000-$3,550 depending on the complexity of the case. *It should be noted that not every case can be corrected with clear aligners. In some cases, a more extensive treatment is needed. In these cases, Dr. Hughes will refer you to an orthodontist (a dental professional specializing in tooth movements). Removable orthodontics, like clear aligners, are not ideal for non-adults, as this age group is less likely to wear the aligners as recommended and often times, misplace their aligners. The Tooth Booth generally treats adults 18 and over with clear aligner therapy. There is a $250 records fee prior to your aligners being fabricated. It is at your records appointment that our team will record all the information needed for your specific and customized orthodontic treatment plan. Retainers will be required at the end of treatment and will be at an additional charge. 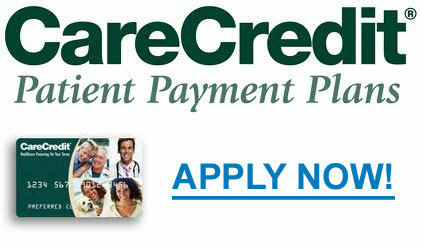 This is will thoroughly covered at the time of your personalized treatment plan presentation. We are so happy to see gorgeous smiles finished up after alignment that we congratulate our patients on the finish of their treatment with FREE SMILE WHITENING (a $250 value). To learn more about clear aligners at The Tooth Booth, we encourage you to call us to at 270-866-4101 to set up a consultation or click the “Request Appointment” icon to your right and we will contact you at our soonest availability. We charge a $50 fee for consults alone (which will be credited toward your account if you should go forward with treatment), or a consultation can be scheduled during your dental re-care appointment (your biannual cleaning/exam) at no extra charge, but please specify your interest in the consultation when calling to schedule in combination with a re-care appointment to ensure the appropriate appointment is reserved for you.